Please call our office in order to set up an initial evaluation. Prior to the initial evaluation, please fill out a new patient packet found on our patient resources page. If not, please arrive to your appointment 15 minutes early to allow time to fill out these forms. Please note that if you have booked a new patient appointment, the physician has blocked out a significant amount of time for the evaluation. If you need to cancel the appointment, please contact the office as soon as possible so that time can be made available for other patients. Fees are due at the time services are rendered. Our physicians do not contract with any insurance companies. However, if your insurance company provides out-of-network benefits, you may file your own claims for reimbursement. These claims should be paid directly to you. At the end of each appointment, you will receive a statement that contains the necessary documentation to file with your insurance company. We recommend that you contact your insurance company for specific information about your out-of-network coverage for mental health services. In addition, our physicians have opted out of Medicare. If you have Medicare, you can be seen on a Private Contract basis, in which no Medicare claims are made. Please click here to download the contract. We do not accept Medicaid. We accept credit and debit cards as a convenience. Please note that each physician sets his own fees independently. For current fee schedules, please call our office. Patients will be charged the full session rate when cancellations occur unless notice is given at least one business day in advance. If, for any reason, the doctor must cancel an appointment, the patient will be advised at the earliest possible time. By agreeing to communicate via email, you are assuming a certain degree of risk of breach of privacy beyond that inherent in other modes of traditional communication (such as telephone, written, or face-to-face). We cannot insure the confidentiality of our electronic communications against purposeful or accidental network interception. Due to this inherent vulnerability, we would caution you against emailing anything of a very private nature. Additionally, your doctor will save your email correspondence and these communications should be considered part of your medical record; therefore, you should consider that our electronic communications may not be confidential and will be included in your medical chart. Never send emails of an urgent or emergent nature. Your doctor will make an effort to check email regularly; however, call our office if you have not received a reply within 72 hours. Routine brief phone calls made between the hours of 8:30 a.m. and 3:00 p.m. on weekdays will be returned as quickly as possible; calls will typically be returned the same day. Routine calls received after 3:00 p.m. or on weekends will be returned the following business day. If the call involves an urgent matter, please convey this when leaving your message. For more extensive phone calls, please schedule a phone appointment with your physician. There will be a routine charge for these phone calls based on the time spent per call. Please note that most insurance companies will not reimburse for phone consultation fees. Prescriptions may only be called in for patients who are current patients and who maintain their regularly scheduled appointments. For your safety, medication refills will not be called in over the weekend except in emergencies. Psychiatric Associates of Atlanta takes pride in conducting each forensic psychiatric evaluation with the highest level of integrity and objectivity. 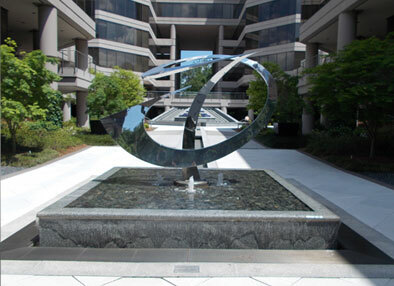 Our Atlanta Buckhead office is located in Piedmont Center in building 12. Piedmont Center is easily accessible from Interstate 85, Interstate 75, Interstate 285 (Perimeter), Georgia 400, Roswell Road and Peachtree Street. Piedmont Center is also located conveniently near the MARTA Buckhead Station. © 2019, Psychiatric Associates of Atlanta, LLC - Psychiatrists in Atlanta, Georgia. All Rights Reserved.